With millions of cameras and billions of lines of code, China is building a high-tech authoritarian future. 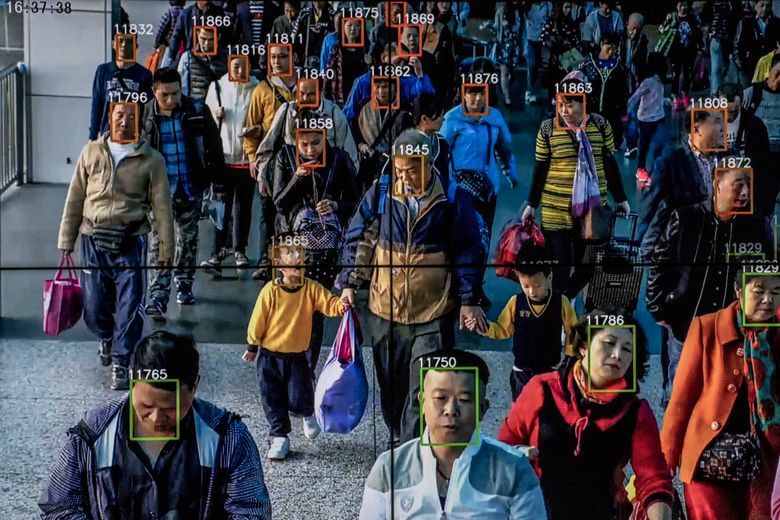 Beijing is embracing technologies like facial recognition and artificial intelligence to identify and track 1.4 billion people. ZHENGZHOU, China — In the Chinese city of Zhengzhou, a police officer wearing facial-recognition glasses spotted a heroin smuggler at a train station. In Wuhu, a fugitive suspect in a killing was identified by a camera as he bought food from a street vendor. In some cities, cameras scan train stations for China’s most wanted. Billboard-sized displays show the faces of jaywalkers and list the names of people who can’t pay their debts. Facial-recognition scanners guard the entrances to housing complexes. Already, China has an estimated 200 million surveillance cameras — four times as many as the United States. Even so, China’s ambitions outstrip its abilities. Technology in place at one train station or crosswalk may be lacking in another city, or even the next block over. Bureaucratic inefficiencies prevent creation of a nationwide network. Then last summer, police put up cameras linked to facial-recognition technology and a big, outdoor screen. Photos of lawbreakers were displayed alongside their name and government ID number. People were initially excited to see their faces on the board, said Guan Yue, a spokeswoman, until propaganda outlets told them it was punishment. China’s economy is not growing at the same pace. It suffers from a severe wealth gap. After four decades of fatter paychecks and better living, its people have higher expectations. Xi has launched a major upgrade of the Chinese surveillance state. China has become the world’s biggest market for security and surveillance technology, with analysts estimating the country will have almost 300 million cameras installed by 2020. Chinese buyers will snap up more than three-quarters of all servers designed to scan video footage for faces, predicts IHS Markit, a research firm. China’s police will spend $30 billion more in the coming years on techno-enabled snooping, according to one expert quoted in state media. The halls of its offices are dotted with cameras, looking for faces. From desk to break room to exit, employees’ paths are traced on a television screen with blue dotted lines. The monitor shows their comings and goings, all day, every day. Chinese companies are developing globally competitive applications like image and voice recognition. Yitu took first place in a 2017 open contest for facial-recognition algorithms held by the U.S. government’s Office of the Director of National Intelligence. A number of other Chinese companies also scored well. 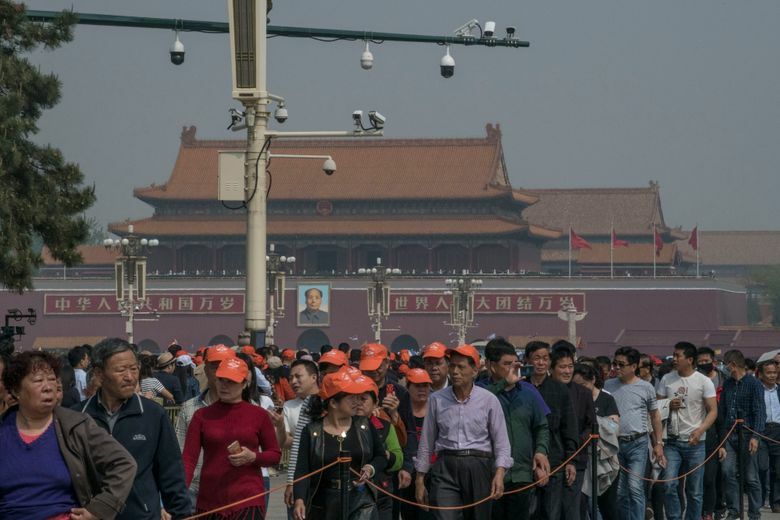 A technology boom in China is helping the government’s surveillance ambitions. In sheer scale and investment, China already rivals Silicon Valley. Between the government and eager investors, surveillance startups have access to plenty of money and other resources. In May, the upstart AI company SenseTime raised $620 million, giving it a valuation of about $4.5 billion. Yitu raised $200 million last month. Another rival, Megvii, raised $460 million from investors that included a state-backed fund created by China’s top leadership. For technology to be effective, it does not always have to work. Take China’s facial-recognition glasses. China’s national database of individuals it has flagged for watching — including suspected terrorists, criminals, drug traffickers, political activists and others — includes 20 million to 30 million people, said one technology executive who works closely with the government. That is too many people for today’s facial-recognition technology to parse, said the executive, who asked not to be identified because the information wasn’t public. The system remains more of a digital patchwork than an all-seeing technological network. Many files still are not digitized, and others are on mismatched spreadsheets that cannot be easily reconciled. Systems that police hope will someday be powered by AI are currently run by teams of people sorting through photos and data the old-fashioned way. Take, for example, the crosswalk in Xiangyang. The images do not appear instantaneously. The billboard often shows jaywalkers from weeks ago, though recently authorities have reduced the lag to about five or six days. Officials said humans still sift through the images to match them to people’s identities. “The whole point is that people don’t know if they’re being monitored, and that uncertainty makes people more obedient,” said Chorzempa, the Peterson Institute fellow.